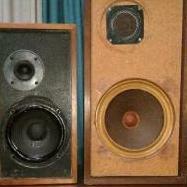 For discussion of Acoustic Research speakers. Ohm specs hi-range Ar3a 1974-75? AR 4xa or AR 6? What AR Speakers Do I have? I need AR58b crossover schematic! Rare beast needs help, AR-5 European Version?